This is the end of 2017 and Iraq has failed to improve its rating in the World Press Freedom Index for 2017, again ranking 158th out of 180 countries. The result puts Iraq behind countries such as Turkey and Kazakhstan, but ahead of Iran and Libya. First place went to Norway, with North Korea coming last. 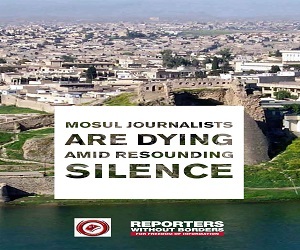 “Iraq is one of the world’s most dangerous countries for journalists, who are targeted by gunmen with pro-government militias, and by militant opposition groups including Islamic State, which has embarked on a war of territorial conquest in Iraq. 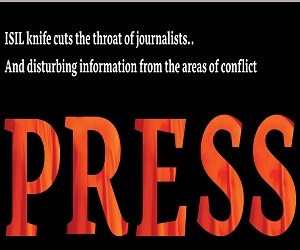 “The murders of journalists go unpunished and, if investigations are opened, they yield no result. 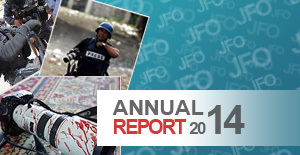 According to JFO, 302 journalists have been killed in Iraq including Kurdistan since 2003.